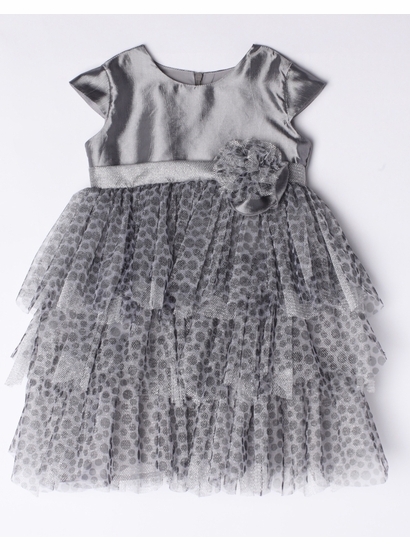 Silver fancy frock by Isobella & Chloe. The bodice has an empire waist line finished with a tie that ties in the back and flower accent. The skirt is tiered of silver, gray tulle with precious dots. 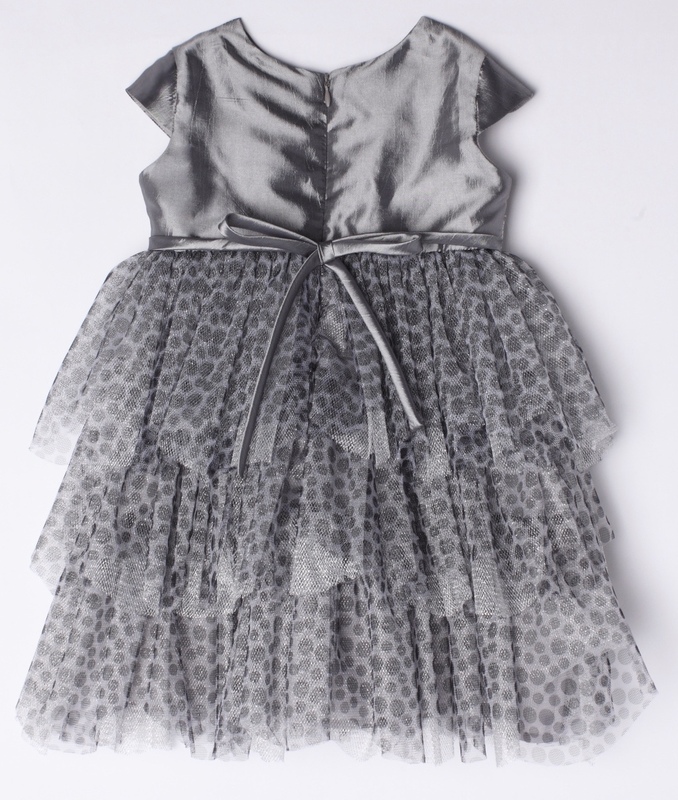 This fabulous formal dress is sure to please! It easily zips up the back. Runs true to size. Feel free to call 877-767-8579 or email us at sales@adorableschildren.com for specific sizing measurements!